The national football team has not qualified for the 2018 World Cup anyway. 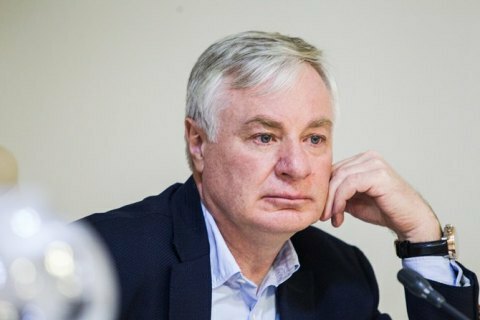 The National Olympic Committee of Ukraine has taken a decision to boycott all international competitions to be held in Russia for an indefinite period of time, the committee's vice-president and president of the Biathlon Federation, Volodymyr Brynzak, has said in an interview with Sport-Express. He confirmed in particular that the national team would not take part in the Biathlon World Cup in Tyumen. Later in the day Youth and Sports Minister Ihor Zhdanov said that he had signed a decree banning Ukrainian sportsmen from participating in any competitions in Russia. "I would like to add that competitions in Russia, considering this country's domestic and foreign policy, are unsafe for our sportsmen," Zhdanov said on Facebook.